Every summer I cannot decide if I prefer full moon nights or the dark starry ones. The truth is I care not choose, I love both. In this sense I love August, a month with magical full moon(s) and star-dotted night skies. 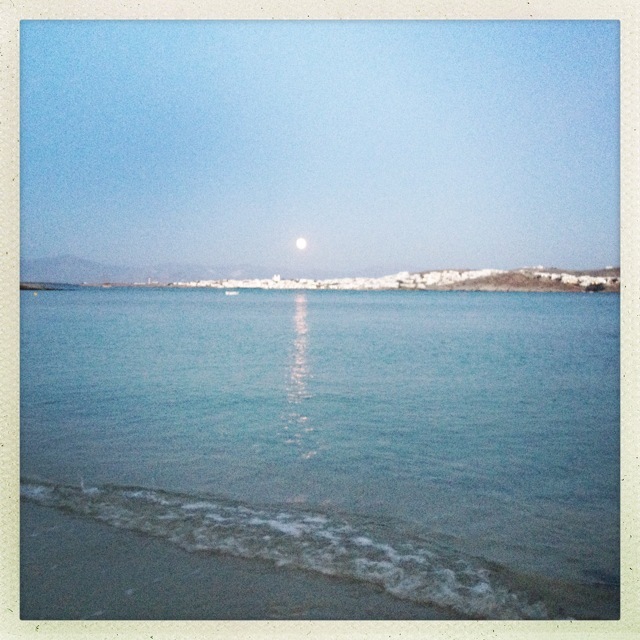 This is an iphone (hipstamatic) pic I took of the full moon rising a couple of nights ago on the beach (almost) in front of my house in Kolymbithres, Paros. And here is a video – guide for spotting celestial objects in the summer night sky (english with Greek subtitles.) Thank you Silina for sending me this video!